Here you will find the remains of projects past which for one reason or another I probably wont be working on any time soon... the code varies from bad to horrendous so dont expect too much. 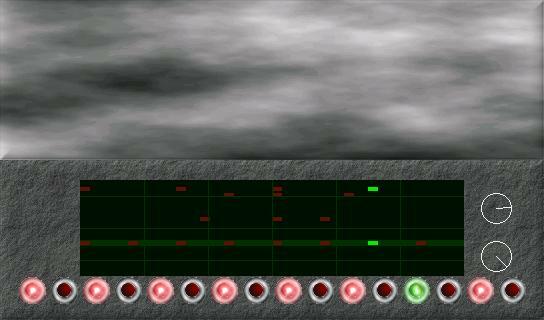 A drum sequencer I wrote that was the start of an effort to recreate a TR-808 and TB-303 style duo, here is a screenshot. The problem here is that I spent too much time on making the interface look cool that when it came time to improve the functionality it became to difficult to change the code which had already been written. probably everyone falls for that one at least once. The sad thing is that the interface is not really that cool although it did allow me to learn raw Xlib. PVI, or palm vi, vi the editor for the palm pilot. it seemed like a good idea at the time. unfortunatly the code has been lost. genhdr takes specially formatted comments from c files and autogenerated header files from them. eventually such tools became less useful as I became more proficient with my editor (vi). 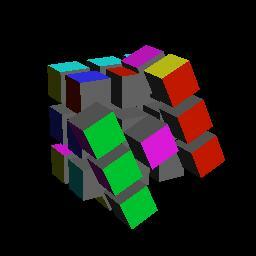 rub an opengl program that was suposed to solve the rubics cube and animate it in realtime. I lost interest in this about an hour into writing it due to an anoying bug (and better things to do) which is exemplefied by this screenshot. This was also my first OpenGL program. A Unicode terminal. xterm beat me to this one so I stopped development. Here is a screenshot of it running a shell. No ANSI support was written yet so you see all of the control codes on the screen. however unicode support worked perfectly. there are certainly many more I can add to this list.